From Dead Broke Carpet Cleaner To One Of The Most Connected Businessman On The Planet! Is Genius Network Just a Genius Scam? Want To Feature or Interview Joe? 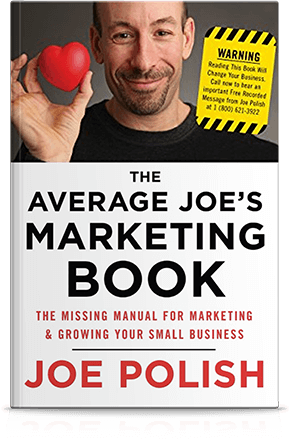 Get The Exclusive *First* Chapter of The Average Joe’s Marketing Book,, where you’ll receive four ideas worth at least $250,000 each to implement in your business. and my clients. Sign up below to get your copy. Subscribe to Emails from Joe: Get about 3 emails per week with marketing tips, updates and strategies to create an E.L.F.™ Business (unsubscribe at any time).